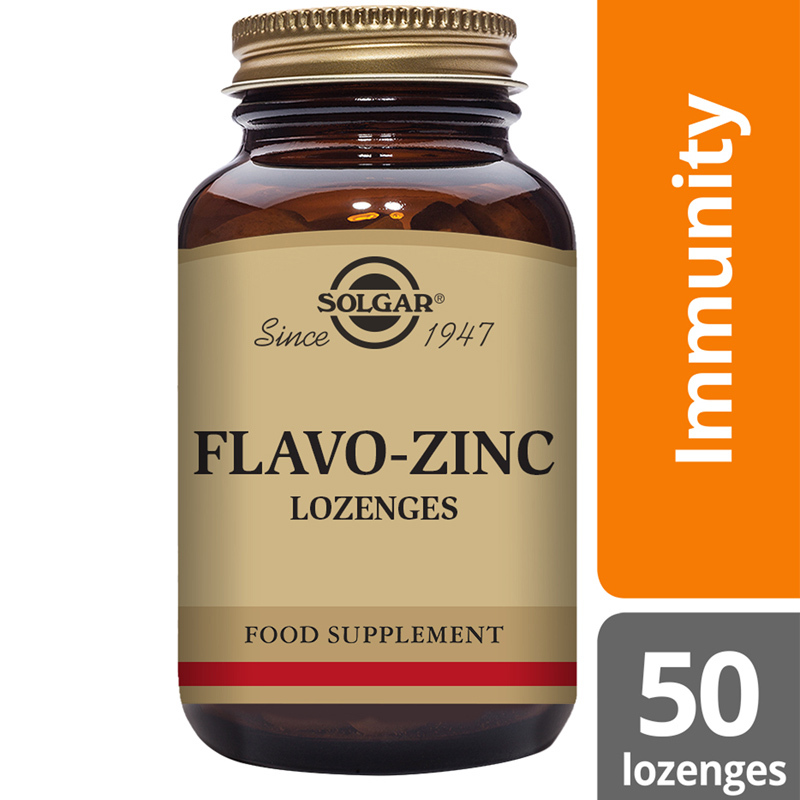 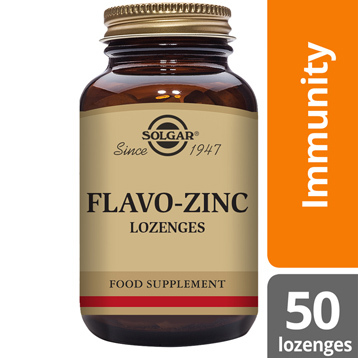 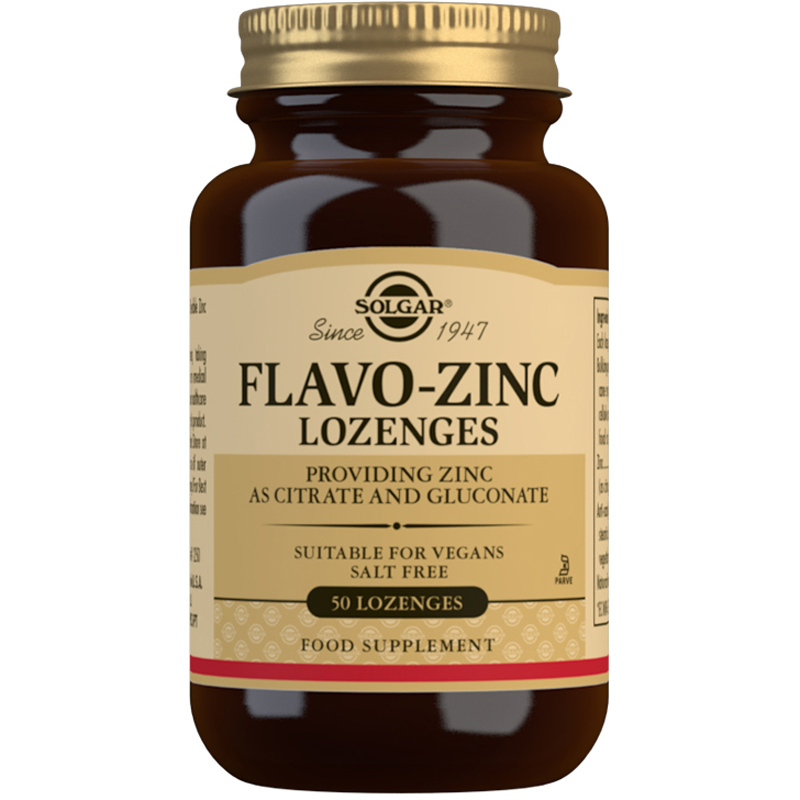 Solgar® Flavo-Zinc Lozenges provides premium quality zinc in a convenient Lozenge form. 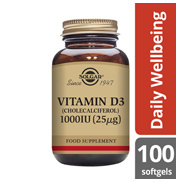 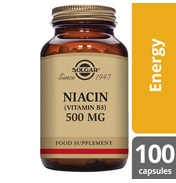 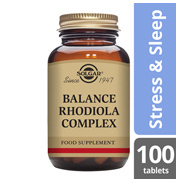 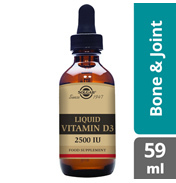 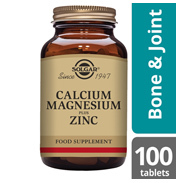 A key nutrient, zinc is an essential trace mineral and is vital for many functions in the body. 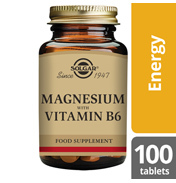 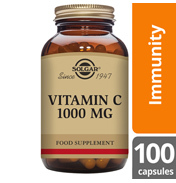 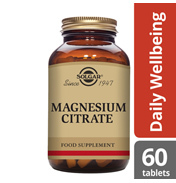 Ingredients: Bulking Agents: (evaporated cane syrup, microcrystalline cellulose, maltodextrin, food starch, citric acid), Zinc (as citrate, gluconate), Anti-caking Agents: (vegetable stearic acid, silicon dioxide, vegetable magnesium stearate), Natural Flavourings (lemon and lime). 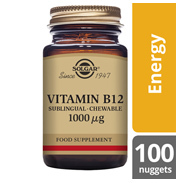 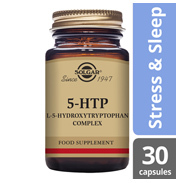 Bulking Agents: (evaporated cane syrup, microcrystalline cellulose, maltodextrin, food starch, citric acid), Zinc (as citrate, gluconate), Anti-caking Agents: (vegetable stearic acid, silicon dioxide, vegetable magnesium stearate), Natural Flavourings (lemon and lime).